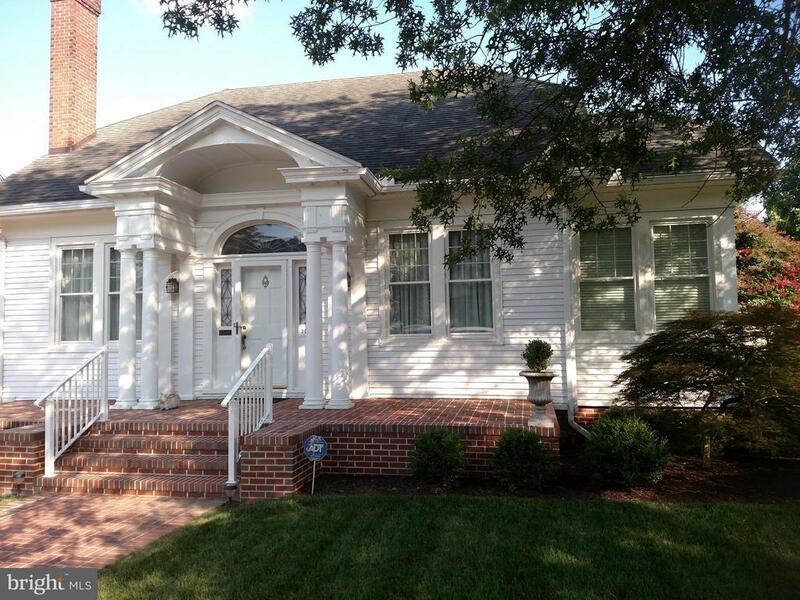 1925 Historic District Gem in thriving Cambridge available for first time outside of family. Manorly 4 bedroom 2 bath home with hardwood, 10 ceilings, built-ins, 2 car garage, daylight basement and many fine architectural features. Lovely manicured property. Well maintained and fit for growing family or couple with weekend guests. 2 bed/1 bath main floor and 2 master bedrooms/1 bath upper floor. Directions: From 50 East (Cambridge), right on Maryland, right on Academy, right on High, left on Water which continues to Hambrooks Blvd, left on Oakley to house on left.